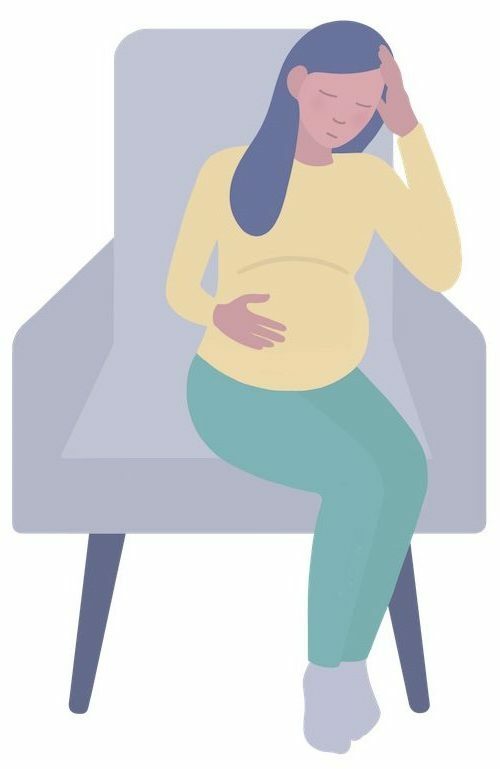 When you get pregnant, there are tons of things you expect will happen: more frequent trips to the bathroom, strange cravings for salty things, and a predilection for mood swings are part of the pregnancy experience for many people. And the changes don’t end there. As it turns out, being pregnant can affect your sleep, too. Many pregnant people observe changes in how much sleep they need, how well they sleep at night, and their preferred sleeping position. And of course, post-pregnancy, your sleep quality and quantity will majorly shift when there’s a brand-new infant requiring constant attention. Because getting plenty of sleep is important for pregnant people (and everyone else), it’s important to learn about how sleep might change during and after pregnancy and how to maximize your chances of obtaining quality Zzzs. Here’s what you need to know about pregnancy and sleep. What Happens To Your Sleep When You Become Pregnant? Your sleep can undergo a variety of changes during pregnancy, thought it’s important to note that every pregnancy is different. 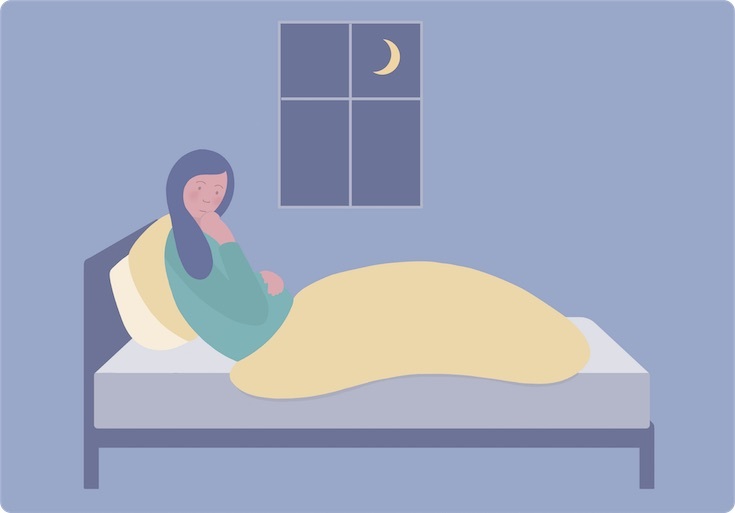 “During the first trimester, women often experience frequent waking at night, often related to frequent trips to the bathroom during the night and nighttime nausea,” sleep expert Dr. Jodi Mindell said in an American Academy of Sleep Medicine (AASM) press release. In the second trimester, the National Sleep Foundation says things might improve for some pregnant women: Some women will feel more energetic due to hormonal changes. Why Do You Wake Up To Pee So Often During Pregnancy? During the first trimester, the expanding uterus puts pressure on the bladder, leading to more frequent urination. During the second trimester, the uterus typically moves up from the pelvis into the abdomen, relieving this pressure. But during the third trimester, the increased bump size can again lead to increased bladder pressure. How Important Is Sleep During Pregnancy? Sleep is vital for everyday health and is particularly important for growth. Since pregnancy involves physically growing a second human, sleep is an important component of that process. How Much Sleep Do Pregnant Women Need? According to the National Institute of Neurological Disorders and Stroke, adults aged 18 to 64 should aim to get 7 to 9 hours of sleep per night. Pregnant women may need additional hours of sleep at night or naps during the day. A 2004 study of 131 pregnant women, which was published in the American Journal of Obstetrics and Gynecology, found that women who slept less than 6 hours each night “had longer labors and were 4.5 times more likely to have cesarean deliveries” (3). As a result of these findings, the study authors recommend that pregnant people spend 8 hours in bed each night, with the aim of sleeping at least 7 hours. Sleep disorders in general are pretty common, and some people find that pregnancy either worsens existing sleep disorders or introduces new ones. Here are a few common sleep issues that pregnant women report. According to the American Pregnancy Association, a full 78 percent of pregnant women experience insomnia at some point during their pregnancy. If you are physically uncomfortable, try changing your sleeping position. Relax before bed using a “winding down” routine or taking a warm bath. Keep your bedroom as comfortable as possible — dark, cool, and quiet. Try relaxation techniques and/or meditation. Get some light exercise during the day. And if you are really struggling to sleep at night, consider taking short naps during the day to boost your energy, or speaking with your doctor about what’s going on. Discuss sleep apnea issues with your doctor, and they can advise you on the best course of treatment. Restless legs syndrome, or RLS, is a condition that causes an uncontrollable urge to move your legs — usually when you are lying down. According to the Mayo Clinic, it can start happening at any age and can be really disruptive to your sleep. What’s The Best Sleep Position When You’re Pregnant? The American Pregnancy Association notes that many pregnant people might feel uncomfortable in their typical sleeping positions due to factors including back pain, heartburn, and the increasing size of their bump. Sleeping on your stomach during early pregnancy is generally considered safe, What To Expect says, but once you have a visible bump, most people would find it extremely uncomfortable. Once you are over 20 weeks pregnant (that’s in your late second trimester), some sources recommend that you try to avoid sleeping on your back. Two small studies have suggested a potential link between sleeping on your back and pregnancy complications. One 2017 study, which was published in the Journal of Physiology, looked at 29 pregnant women and suggested that lying on your back can “shift the fetus to a lower oxygen-consuming state,” which might be related to complications (4). A second study, this one from 2011 and published in the BMJ, compared 215 women who had experienced a stillbirth with 250 women who did not (5). They found that multiple factors contributed to someone’s likelihood of having a stillbirth, including, possibly, sleep position. That said, these studies are far from conclusive, and you should not panic if you wake up to find you have rolled over onto your back. Do I Need A Pregnancy Pillow, Or Not? A pregnancy pillow, sometimes called a maternity pillow, is a special type of pillow designed specifically for pregnant people — usually to help support a growing bump and keep you comfortable at night. They come in a variety of shapes, sizes, materials, and price points. There are five main categories of pregnancy pillows: A wedge pillow, total body pillow, full-length pillow, bean pillow, and inflatable pillow. The right choice for you depends on a number of factors including how much space you have for a pregnancy pillow in your bed, what your specific support needs are, and your budget. Read more about the different types of pregnancy pillows and how to pick the best one in our detailed guide. The American Pregnancy Association says regular exercise can help pregnant people sleep better. According to WebMD, it’s typically safe for pregnant women to follow their usual exercise routines, provided they take safety precautions and don’t overdo it. Translation: If you didn’t regularly exercise before pregnancy, don’t jump right into an extreme sport or heavy workout. Instead, start with power walking, swimming, or prenatal yoga. If being pregnant is disrupting your sleep, experts say it’s totally fine to take short daytime naps — as long as they don’t make your nighttime sleep situation even worse. In a 2015 study, 78 percent of the 2,427 surveyed pregnant women said they supplemented their sleep with napping (6). Another study about napping during pregnancy stresses that there is no ideal nap length, but pregnant women who take longer naps of up to 90 minutes may feel less sleep deprived (7). 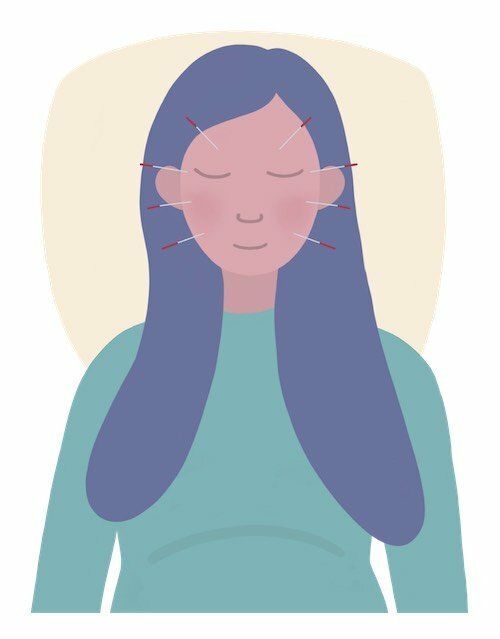 Some pregnant women may find that acupuncture — a form of traditional Chinese medicine which involves very thin needles being inserted into specific spots on your body — can help ease sleep issues. In one very small 2005 study of 30 pregnant women, which was published in Acupuncture in Medicine, a group of women who received acupuncture said that it relieved their insomnia (8). 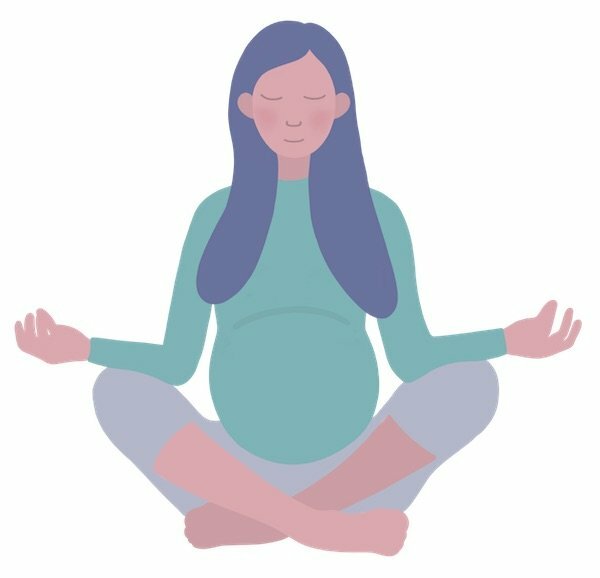 A 2015 study from Obstetric Medicine explained: “Acupuncture, exercise, massage or relaxation therapy, and mindful meditation and prenatal hatha yoga may be beneficial for insomnia, but the studies are small and heterogeneous and therefore it is difficult to make a definite recommendation regarding these interventions in pregnant patients with insomnia” (9). When Should You See A Therapist Or Doctor? If you are really worried about your sleep during pregnancy, it’s worth mentioning to your OB/GYN at your next regular visit. Of course, some of these symptoms can be chalked up to pregnancy hormones. But anything that worries you is worth chatting to your doctor about. Sleeping after pregnancy can be difficult for many women. Once you have given birth, there’s a brand-new baby’s sleep schedule to contend with — and some physical changes in your own body might affect your sleep, too. Every newborn and mom is different, and everyone recovers from giving birth differently. So what works for one family might not work for another. That said, there are a few things that have helped new parents get much-needed rest when they have a newborn at home. Here are some of the most popular strategies. It might seem tempting to use your infant’s nap time to tackle chores or take a break and watch Netflix. But if you’re tired, experts say it’s a good idea to nap when your baby naps. Even if you can’t fall asleep, it’s worthwhile to use the time to rest and relax. If a friend or family member offers to watch your baby so you can get a little bit of sleep, take them up on the offer. There’s no shame in accepting help as a new parent — and doing so will significantly up your odds of feeling healthy and capable of caring for your newborn. If you live with a partner, take turns getting up to feed the baby at night so you can grab a little more shut-eye. 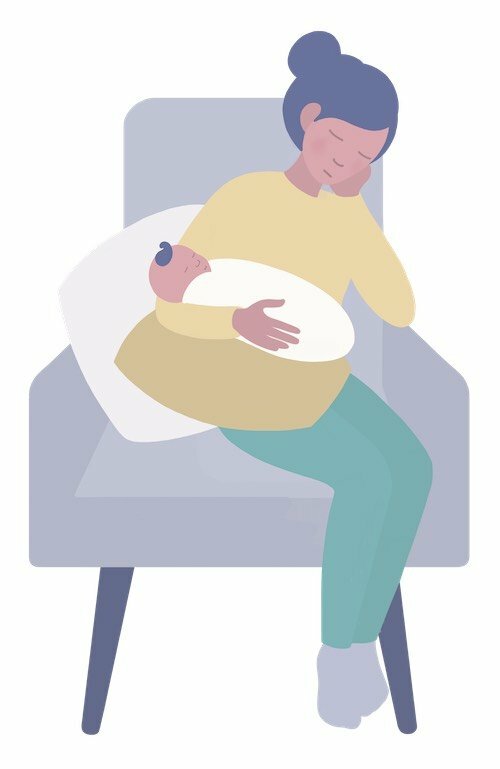 If you are breastfeeding, consider pumping so your partner can pitch in during the night. See if your budget allows for help. If you can afford to hire a night nurse or babysitter, consider it. These services can provide much-needed respite for sleep-deprived parents. It’s not unusual to feel a little blue after giving birth, but it’s important to be on the lookout for signs of postpartum depression. 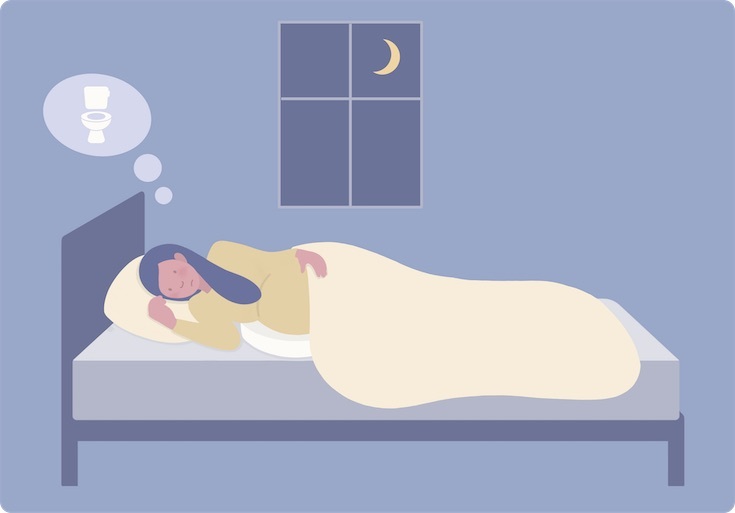 Insomnia and depression often go hand in hand, meaning that insomnia can put you at risk for postpartum depression — or that postpartum depression can cause bouts of insomnia. 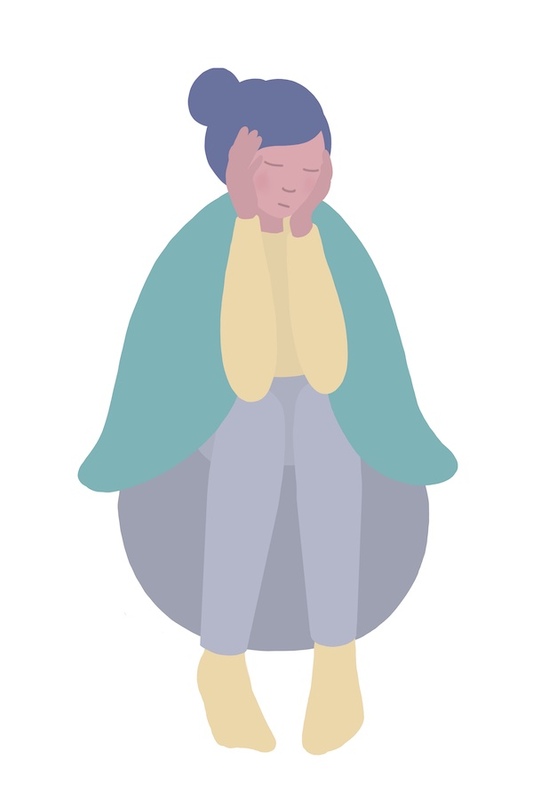 Do you feel irritable and anxious even after taking a nap or finding a few moments to relax? Is your appetite decreasing, even though becoming a new parent increases your energy expenditure? Are you struggling to bond with your new baby? Do you experience moments of joy, or do you find it hard to enjoy your hobbies and find you have lost interest in things you used to love? If any of the above sounds familiar, consider speaking to an expert about what you’re experiencing to see how they can help you through it. Postpartum depression is very common and nothing to be ashamed of. There’s no way around it: Pregnancy and caretaking a newborn are bound to alter your sleep habits. But while some changes to your sleep schedule or preferred sleeping position are unavoidable, it’s still essential to make high-quality sleep a daily priority. By following the guidelines above, you’ll increase your odds of enjoying sound sleep both during and after pregnancy. da Silva, J.B. et al. “Acupuncture for insomnia in pregnancy–a prospective, quasi-randomised, controlled study.” Acupuncture in Medicine. 2005 Jun; 23(2): 47-51.